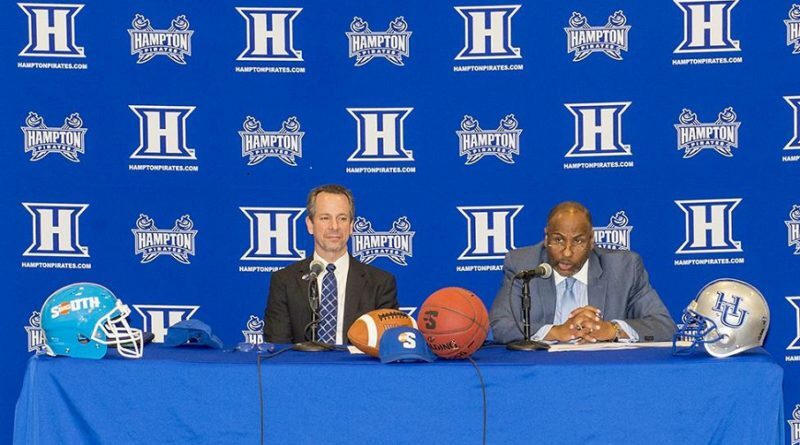 HAMPTON, Va. (Nov. 16, 2017) – Hampton University announced today that it joins the Big South Conference, effective July 1, 2018, after a 22-year relationship with the Mid-Eastern Athletic Conference. 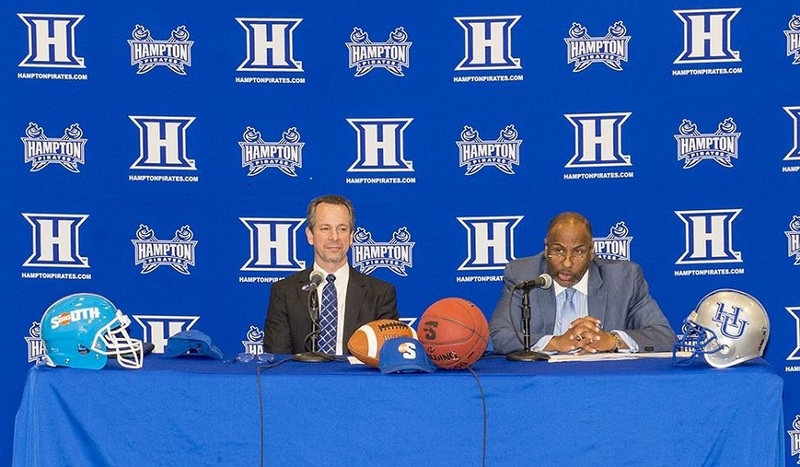 The announcement came at a joint Hampton University/Big South press conference at Hampton University’s Student Center Theater with dozens of athletes and coaches present. To a raucous ovation, Hampton University Athletic Director Eugene Marshall announced the move. Big South Commissioner Kyle Kallander couldn’t be more pleased for the conference and for Hampton University. Marshall said that Hampton’s association with its Mid-Eastern Athletic Conference rivals will continue. Joining the Big South is not just about athletics. Marshall echoed Dr. Harvey’s most important reason for joining the Big South. “This move enables us to better manage class time, reducing lost class time for our athletes, with the goal of high academic achievement at the forefront of HU Athletics,” Marshall said. Kallander said that the vote to admit Hampton University was unanimous, and was based on excellent academic and athletic achievement. Founded in 1983, the Big South Conference is an exemplary leader in college athletics, dedicated to developing student-athletes through the pursuit of excellence in the classroom, community and field of play. The league’s growing presence as an NCAA Division I athletic conference is made evident by its multitude of athletic accomplishments, innovative marketing and media partnerships, increased television packages and most importantly, its commitment to fostering the academic, personal, social, athletic and leadership development of its student-athletes. Currently comprised of 10 member institutions (Campbell University, Charleston Southern University, Gardner-Webb University, High Point University, Liberty University, Longwood University, Presbyterian College, Radford University, UNC Asheville and Winthrop University, plus football members Kennesaw State University, Monmouth University and the University of North Alabama) sharing a common geographic region and similar academic values and purposes, the Big South’s remarkable history of achievement is characterized by the league’s 19 championship sports and the profound academic and life successes of its nearly 3,500 student-athletes.